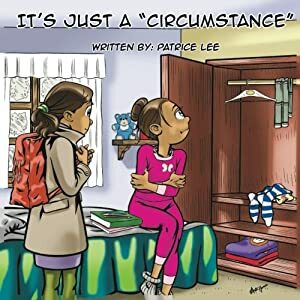 GOLD BOOK AWARD WINNER for an Illustrated Book, 2018, READERS' FAVORITE. How can a soldier be afraid, a soldier of all people? Soldiers are not supposed to fear, are they? This soldier was afraid. He feared the darkness and everything it hid. What would it take for him to face his fear and see it evaporate like mist at morning? A parable for our times that deals with facing and overcoming our fears. A picture book for all ages. 5 STAR REVIEW by Music Teacher, reviewer, Bruce Arrington, for Readers' Favorite. This story is well written, imaginative and enchanting. In facing our fears, we may learn that they never go away completely. But it does not matter, as this story illustrates. If we can keep going and not give up, eventually the reward will be there. This lesson is clearly given, though subtly stated. ItÕs an adventure that children will want to relive again and again. 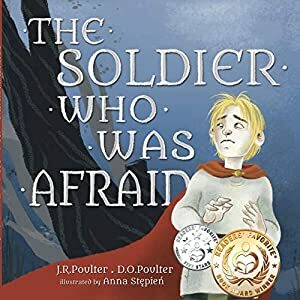 The Soldier Who Was Afraid by J.R. Poulter and D.O. Poulter is a highly recommended read. Tadpoles, clams, and minnows-wow! For siblings Beth and Paul, growing up on a lake is fun... until they're startled by a "fishy" find along the shoreline. When they discover the scaly, moustached carp, they become afraid. Seasons pass, and Beth and Paul avoid the swampy reeds at all costs-until a flood brings about a life-or-death situation for the creepy looking carp, right in their own backyard! With guidance from their father, will Beth and Paul be able to overcome their apprehensions about the carp and help save them before it's too late? "Acceptance of all of God's creatures beautifully portrayed in this delightful story!" -Henry K. Ripplinger, Bestselling Author, Pewter Angels. 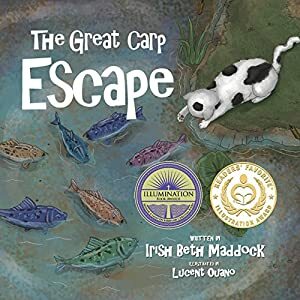 "The Great Carp Escape truly captures the magic between children and nature. The story paints a beautiful picture of how all creatures on earth are God-given and shows how compassion shouldn't be based on popularity or defined beauty. This delightful and touching story carries such an important message of acceptance and simply joy. A pleasure to read and surely a popular addition to any child's home library."